Modern coasters have pushed the limits of physics, adding thrilling elements such as inversions and hydraulic launches and utilizing park terrains in unique ways. The opening of Cedar Point’s Millennium Force in 2000 ushered in a new era of speed and height, and ever since, hypercoasters and giga coasters have been breaking Guinness World Records for the tallest, fastest, and highest tracks possible. Formula Rossa is an Intamin launched coaster that broke world records at its November 2010 opening, reaching peak speeds of 149 miles per hour. The coaster’s track was inspired by the course of the famed Autodromo Nazionale Monza racetrack in Italy and is intended to simulate the experience of riding at high speeds within a Formula One race car. 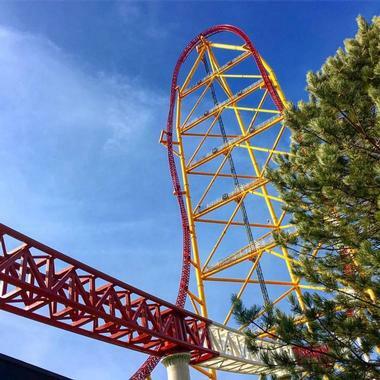 It reaches its top speed within the first five seconds of its launch, speeding down its 1.4-mile course, one of the longest steel coaster tracks in the world. The complete ride lasts 92 seconds, with all riders required to wear protective safety goggles to prevent impact with airborne objects. 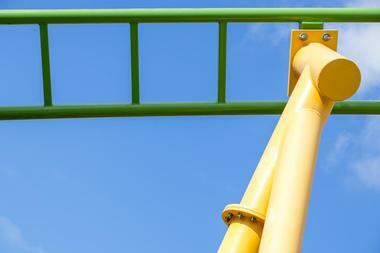 Kingda Ka is the tallest roller coaster in the world, dropping riders from a height of 456 feet. The coaster was designed by Intamin associates Stakotra and is located at Jackson, New Jersey’s Six Flags Great Adventure theme park. 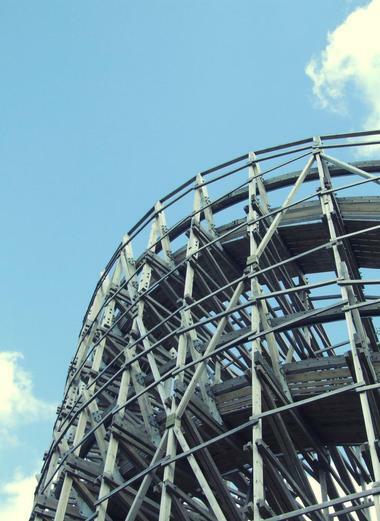 At the time of its construction, it was the fastest coaster in the world, reaching a maximum speed of 128 miles per hour less than four seconds after its hydraulic launch. After its initial top hat tower, the coaster sends riders through a 270-degree spiral and ascends a second 129-foot hill, which produces sensations of weightlessness for riders. 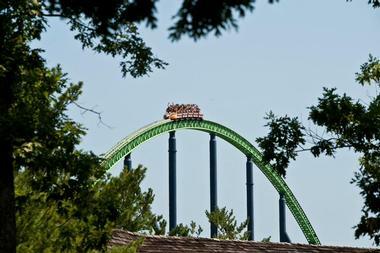 The ride was opened to the public in May of 2005, and since 2014, has incorporated the Zumanjaro: Drop of Doom drop tower onto the side of its top hat hill. 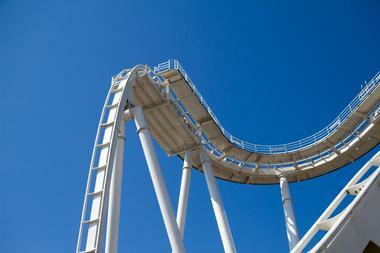 Do-Dodonpa is a rollercoaster at Fujiyoshida, Japan’s Fuji-Q Highland theme park that reaches a peak height of 161 feet. 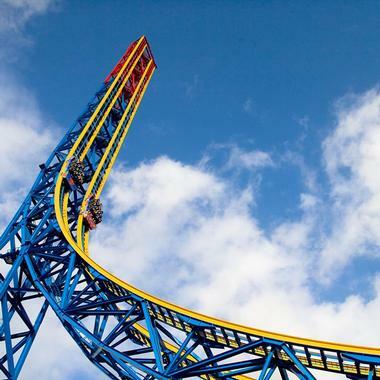 At its December 2001 opening, it was the fastest coaster in the world, breaking the previous record held by Six Flags Magic Mountain’s Superman: The Escape coaster, and boasted the fastest acceleration of any steel coaster, reaching a maximum speed of 107 miles per hour in one and a half seconds, which allows riders to experience a gravitational force of 3.3 Gs. The S&S Worldwide coaster takes riders along a 4,081-foot course with theming that reflects traditional Japanese music and culture, incorporating elements such as a large loop and a wide-radius bank offering views of the surrounding park. Red Force is located within Tarragona’s Ferrari Land amusement park, a park within the PortAventura World theme park resort suite that opened to the public in April of 2017. The Intamin coaster is the anchor ride of the new Ferrari Land park, which also features a Junior Red Force family racing coaster. It is Europe’s tallest and fastest coaster, accelerating riders to a top speed of 111 miles per hour within five seconds of its launch before ascending a 367-foot hill. 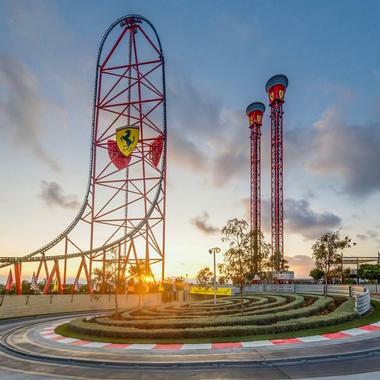 The race car-themed coaster showcases three official Ferrari logos along its 2,887-foot course. A seating area is offered near the coaster’s top hat hill for park visitors to watch coaster launches. Superman: Escape from Krypton broke world records for height and speed at its 1997 opening, when it was originally branded as Superman: The Escape. The Intamin coaster opened alongside Dreamworld’s Tower of Terror II and debuted the revolutionary new Linear Synchronous Motor launch technology, which allowed it to reach a maximum launch speed of 100 miles per hour within seven seconds. Riders experience gravitational forces up to 4.5Gs during the ride’s backward launch before ascending a 415-foot hill at a 90-degree angle. 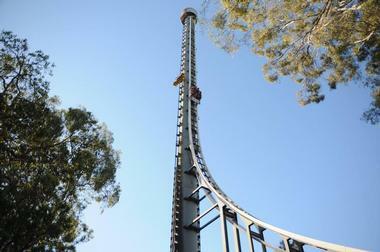 During the ride’s ascent and 328-foot drop, riders achieve 6.5 seconds of weightlessness. In 2012, the Lex Luthor: Drop of Doom twin drop towers were added to the side of the ride’s hill. Tower of Terror II was the tallest and fastest coaster in the world at the time of its January 1997 opening, reaching a maximum speed of 100 miles per hour at its launch, which lets riders experience 4.5Gs of gravitational force. The ride is located within Queensland, Australia’s Dreamworld amusement park and was constructed at a cost of $16 million, operating with a futuristic escape pod theme until its redesign in September of 2010. 14 riders are accelerated through a 676-foot launch tunnel within seven seconds at the ride’s launch before experiencing weightlessness throughout the ride’s vertical section. The ride’s tower also houses the park’s Giant Drop drop tower. Steel Dragon 2000 is located within Mie Prefecture’s Nagashima Spa Land, part of the Nagashima Resort vacation destination. The ride was constructed by Morgan Manufacturing and has remained the longest roller coaster in the world since its August 2000 opening, with a track length spanning 8,133 feet. The coaster’s name is a reference to the Japanese year of the dragon, one of the signs of the culture’s zodiac calendar, which was the cycle sign of its opening year. 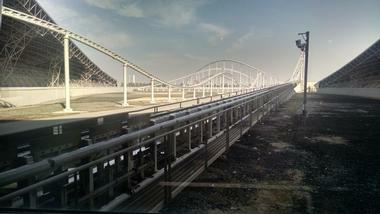 Two tunnels are showcased throughout the coaster’s track, which features a first hill of 318 feet. It reaches maximum speeds of 95 miles per hour throughout its four-minute ride. Fury 325 is the world’s tallest and fastest giga coaster, reaching a maximum height of 325 feet. The coaster was designed by manufacturing firm Bolliger and Mabillard and was opened at the Carowinds theme park in 2015. Since then, it has been voted as the best steel coaster in the world twice by Amusement Today’s Golden Ticket Awards, taking the title previously long held by Cedar Point’s Millennium Force. The coaster reaches maximum speeds of 95 miles an hour during its three minute and 25 second ride, navigating elements such as a high-speed s-curve, camelback hill, and near-180-degree banked turns. The coaster remains the tallest coaster in the world to use a traditional chain lift and is the largest B&M coaster in the world, exceeding Canada’s Wonderland’s Leviathan by 19 feet. Millennium Force broke six world records at its 2000 opening and is associated for the coining of the term giga coaster, referring to coasters breaking the 300-foot height barrier. Though its records have been broken by a number of coasters throughout the world since its opening, the coaster is credited with changing the way modern coasters are constructed, implementing technologies such as the cable lift hill, and with popularization of ticket-to-ride reservation systems following the long lines after its opening. The ride remains the third-longest coaster in North America, featuring a 310-foot opening hill and reaching speeds of up to 93 miles per hour. It has been voted as the world’s number one steel coaster 10 times by Amusement Today’s Golden Ticket Awards, only ever beaten by Carowinds’ Fury 325. At night, the ride is lit with the Luminosity: Ignite the Night LED light show, which infuses the park’s nighttime skyline with color. Lightning Rod is a 1950s hot rod-themed roller coaster that opened in June of 2016 as the first launched wooden roller coaster in the world. 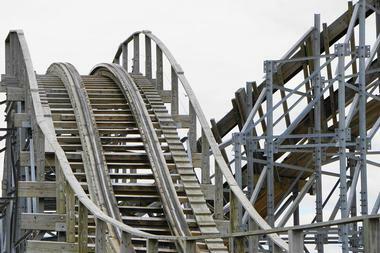 The unique coaster was designed by Rocky Mountain Construction, famed for their steel-hybrid wooden coaster technologies and notable refurbishments of historic coasters, such as their 2018 conversion of Cedar Point’s Mean Streak into the new Steel Vengeance coaster. 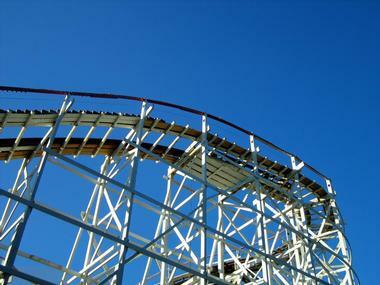 The coaster reaches peak speeds of 73 miles per hour, making it the fastest wooden coaster in the world. The coaster was named as the Best New Ride in its opening season by Amusement Today’s Golden Ticket Awards and has been ranked among the top 10 wooden coasters in the world ever since. 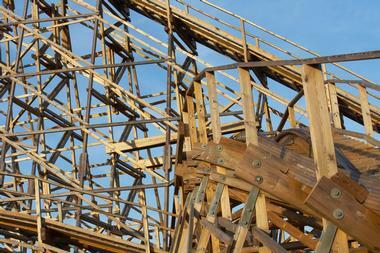 Wildfire is Europe’s fastest wooden coaster, reaching a maximum speed of 70 miles per hour throughout its two-minute ride. The Rocky Mountain Construction coaster is located at Sweden’s Kolmården Wildlife Park, which is Scandinavia’s largest zoo and is also home to the smaller Dolphin Express coaster. 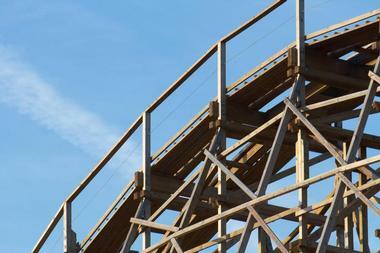 It was opened to the public in 2016 and features a 4,150-foot track with a first drop of 161 feet, making the second-highest wooden coaster in the world. Three inversions are featured along its track, including an inverted zero-g stall and two heartline rolls. 12 airtime hills also help the ride reach a maximum speed of 70 miles per hour. El Toro is an Intamin coaster at Six Flags Great Adventure that was designed with the assistance of Rocky Mountain Construction. At its 2006 opening, the coaster featured the steepest drop on a wooden coaster, reaching 76 degrees on its 176-foot first drop. The ride anchor’s the park’s Mexican-themed Plaza del Carnaval section and replaced the Arrow Dynamics steel coaster Viper, which was closed in 2004. It is designed with a bull-themed style, with cars featuring bull head artwork, paying homage to the Spanish translation of its name. The coaster reaches peak speeds of 70 miles per hour and is noted as the first wooden coaster in the world to use a cable lift system. 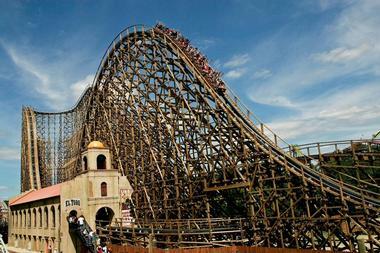 Colossos is one of four prefabricated plug-and-play wooden coasters in the world designed by Intamin and RMC, along with Lisberg’s Balder, Six Flags Great Adventure’s El Toro, and Everland’s T Express. The coaster is located at Germany’s Heide Park and spans a track length of 4,409 feet, reaching peak speeds of 68 miles per hour. It first drop showcases a chain lift hill and descends 159 feet before tackling a variety of banked elements and hills throughout its two minute and 25 second ride. Though the coaster closed in 2016 due to track conditions, Heide Park has announced that it will reopen for the 2019 summer season following repairs and track resurfacing. Outlaw Run was Rocky Mountain Construction’s first hybrid wood-steel roller coaster, opened at Branson’s Silver Dollar City in March of 2013. At its opening, it was the only wooden roller coaster in the world to feature inversions following the closing of Kings Island’s Son of Beast in 2009 and remains the wooden coaster with the most inversions. 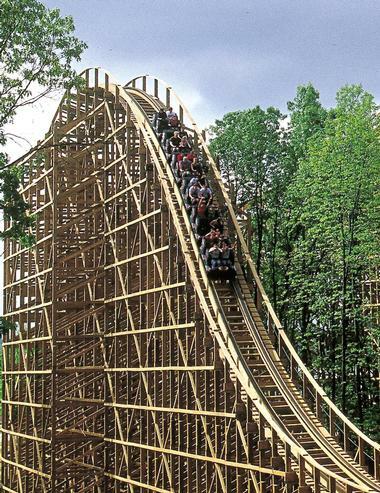 The stagecoach-themed coaster introduced RMC’s Topper Track technology, which took four years to perfect for the ride and has since earned them a reputation as the top modern wooden coaster designers in the world. The ride reaches peak speeds of 68 miles per hour along its 2,937-foot track, which features a 162-foot first drop at an 81-degree angle, one of the steepest drop angles on any wooden coaster. The Voyage is an award-winning wooden coaster at Indiana’s Holiday World and Splashin’ Safari theme park that opened to the public in May of 2006. It was designed by The Gravity Group, a corporation helmed by former Custom Coasters International architects, and features Mayflower and pilgrim theming to correspond with the park’s Thanksgiving-themed section. The two minute and 45 second ride features an initial drop of 154 feet and reaches maximum speeds of 64 miles per hour throughout its 6,442-foot course, crossing the terrain of the Thunderbird steel coaster at points. Eight underground tunnels are featured on the ride, including a portion with a triple-down hill section in total darkness. It received Amusement Today’s Golden Ticket Award for Best New Ride in 2006 and has held a number of wooden coaster records, including the distinction of the most ride airtime at 24.3 seconds. The Boss is a Custom Coasters International wooden coaster at Missouri’s Six Flags St. Louis that was noted at its 2000 opening for its unique terrain-utilizing layout. It has been ranked among the top 50 wooden coasters in the world by Amusement Today’s Golden Ticket Awards and was refurbished for the park’s 2018 season. The three-minute ride features an initial lift hill of 122 feet, though its first drop reaches 150 feet due to its use of the park’s terrain. Four subsequent drops clock in at 150, 112, 103, and 72 feet, with the ride reaching maximum speeds of 66 miles per hour along its 4,631-foot track. 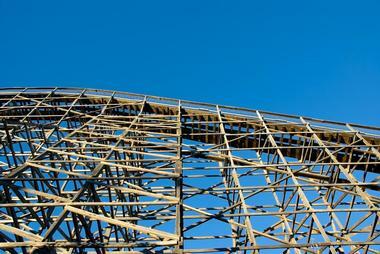 American Eagle holds the distinction as the world’s tallest, fastest, and longest racing wooden coaster. The classic Intamin coaster was constructed in 1981 and was the United States’ fastest wooden coaster throughout much of the 1980s, reaching a peak speed of 66 miles per hour. The two minute and 23 second ride features dueling track trains competing to finish the coaster’s 4,650-foot course first. It makes unique use of the park’s terrain, featuring a 147-foot first drop that descends 20 feet below ground level. Its out-and-back design features an iconic 560-degree helix and interweaving tracks for its dueling trains, whose racing outcomes are determined by factors such as weight distribution. The Beast is credited with the revitalization of the modern wooden coaster in the mid-20th century, opened in 1979 at Ohio’s Kings Island theme park as the world’s fastest, tallest, and longest coaster. It has served more than 53 million riders and retains the title of longest wooden coaster today, spanning a track length of 7,359 feet and covering more than 35 acres of terrain throughout the park. Its four-minute ride time is ranked among the longest roller coasters in the world due to two chain lift hills and reaches maximum speeds of 64 miles per hour. 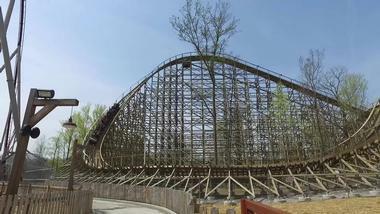 Its unique theming is centered around the idea of a mysterious beast running wild throughout the Ohio wilderness, which was also utilized in the park’s short-lived Son of Beast looping wooden coaster in the mid-2000s. In 2004, the coaster received the American Coaster Enthusiasts’ Coaster Landmark Award for its significance in American coaster history. 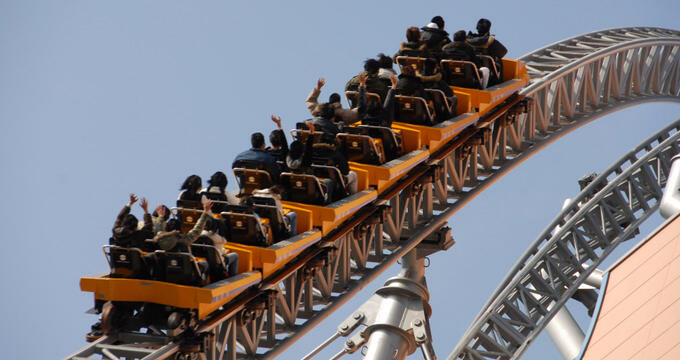 T Express is located within South Korea’s Everland theme park, which receives more than 7.3 million visitors annually, making it the world’s 14th most-attended theme park. The coaster is the country’s first wooden coaster, designed as a plug-and-play prefabricated coaster by Intamin with the assistance of Rocky Mountain Construction. 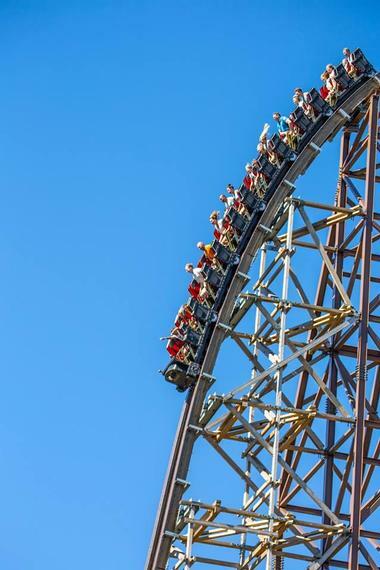 It spans a track length of 5,384 feet, making it one of the world’s longest wooden coasters, and makes unique use of the park’s hillside terrain. Its 150-foot initial drop takes the coaster to maximum speeds of 64 miles per hour and features the fourth-steepest drop on any wooden coaster in the world. Goliath is a record-breaking Rocky Mountain Construction coaster at Illinois’ Six Flags Great America theme park that featured the world’s longest and steepest drop and fastest speeds for a wooden coaster at its 2014 opening. The ride replaced the park’s Iron Wolf coaster and was the second major coaster designed by RMC. 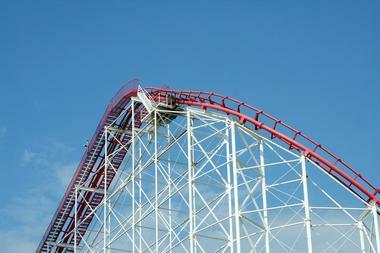 It features a 180-foot first drop and reaches maximum speeds of 72 miles per hour along its 3,100-foot track. Two inversions are also showcased on the 100-second ride, along with two overbanked turns and an underground tunnel. The coaster is noted as one of the first coasters to utilize RMC’s Topper Track technology, which allows for more dynamic track elements than conventional wooden coasters.